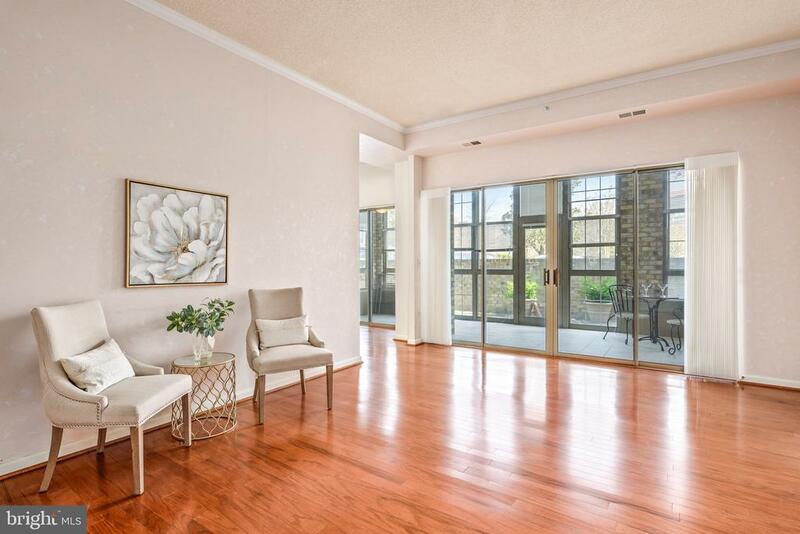 One of a kind patio condo! Main floor access (no elevator needed), oversized private backyard off the glass enclosed patio wonderful for entertaining and relaxing. The home offers gleaming wood floors, upgraded built ins throughout, granite and a wonderful step in soaking tub. The spacious den is ready for your computer and books.